On my way to work the other day, I was listening to the radio and the guest speaker touched on a very interesting but sensitive topic. He went on to expand on how young people should consider the economic needs at the time of selecting their career paths. I must say he raised some really valid points but as I drove, I couldn’t help but ponder about this issue from a different angle. There is a paradox inside of me around this. On the one end I am a patriot of my nation and I really believe that the wisdom and the resources to solve most of Africa’s issues do not lie overseas but within the borders of our glorious continent. So I really would like to see our economy flourish. On the other end though, anyone who knows me knows just how passionate I am about purpose. I often echo in my circle of friends, family and colleagues about the importance of living a “purpose driven life.” I am passionate about purpose because when my purpose unfolded I understood why my life mattered. So a question that continues to linger on my mind is, encourage young people to go into career paths that address the immediate needs of the economy or encourage young people to do what they passionate about? You may contest that there are so many other factors that influence economic growth but the aim was not to make this an academic paper, but a simple reflection shared by an ordinary South African fascinated about the happenings in the country. I still ponder on whether we can advise young people to cement their future on an economy that’s ever changing? And yet as I say this I am also saddened by the escalating high unemployment amongst graduates. I am opening this up for us to have digital and face to face dialogues. My viewpoint is that we need a healthy economy. When the economy is healthy, we will have very limited dependence on the Government to supply free housing, social grants, public clinics etc. A healthy economy ensures a sustainable livelihood for the country and its occupants. I believe we need to engage more in wealth creation dialogues’ as opposed to the obsession around job creation. The other catch 22 situation with “you have to finish university and get a corporate job mentality” is that there seems to be a rise of individuals who have great corporate jobs but are miserable. I always seem to meet people in corporate who complain about their jobs and make mention of other things they passionate about and believe that if they were courageous enough to see those passions through, those could actually be the door way to wealth. These stood out because they carry the undertone of purpose and that wealth flows through engaging in society transforming actions. Guest Blogger Bongeka Mhlongo considers herself as a vessel of insight and an agent transformation for her generation. She believes that one day her name will go down in history books for impacting the world positively. 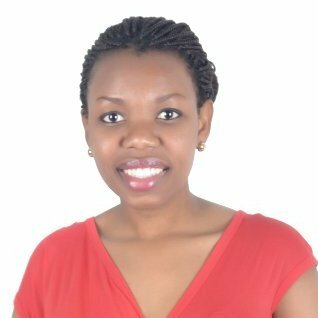 She currently works as a Change Management Specialist and shares most of her insights on her blog called PenTheVision.